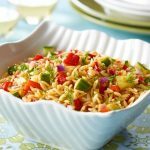 This simple and light, Spiced Up Ontario Greenhouse Vegetable Pasta is sure to be a household favourite that is simple enough to be in your dinner rotation, but also nuanced enough to be served at a dinner party! This finishing touch is sure to add an artistic flair to your pasta. To make basil crisps, pour vegetable oil (about 1 ½ inches) in a medium Dutch oven. Heat to a temperature of 300°F/149°C and add fresh basil. 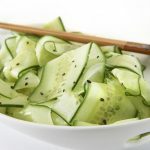 Using a slotted spoon, flip the basil leaves over to complete frying. Scoop out and drain excess oil on a plate lined with paper towels. Bring a large pot of salted water to a rolling boil, then add the dry spaghetti noodles. Cook until al dente for 10 minutes. In a large skillet, sauté the shallots, then add the bell peppers and eggplant. Cook for 3-5 minutes. Deglaze the pan with white wine. Add the garlic and reduce. Drain the pot of water and add the cooked spaghetti noodles to the skillet. 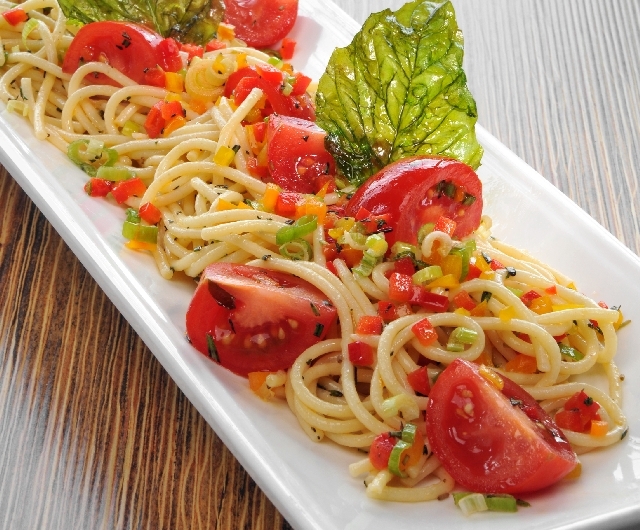 Sauté the spaghetti noodles, then add the chopped fresh herbs, tomatoes and chili flakes. Divide the noodles into 6 bowls and serve immediately. 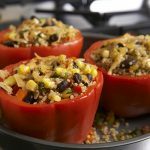 This recipe was provided by our featured member, Ontario Greenhouse Vegetable Growers. 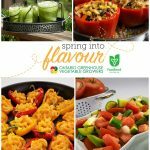 Spring into Flavour with Ontario Greenhouse-Grown Produce!